Hey guys, I've been racing for a number of years but always with the older carb model bikes. 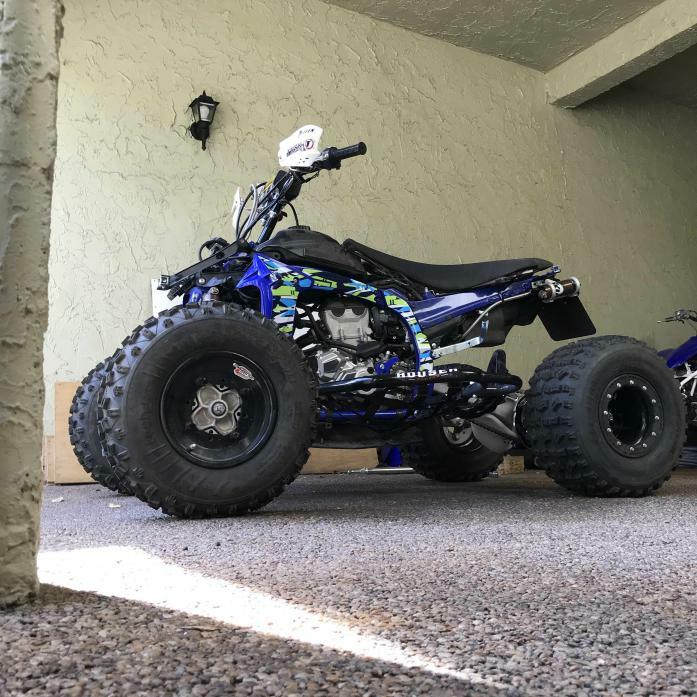 I finally went out and bought a new 2017 YFZ450R, deciding it was time to upgrade to the EFI. 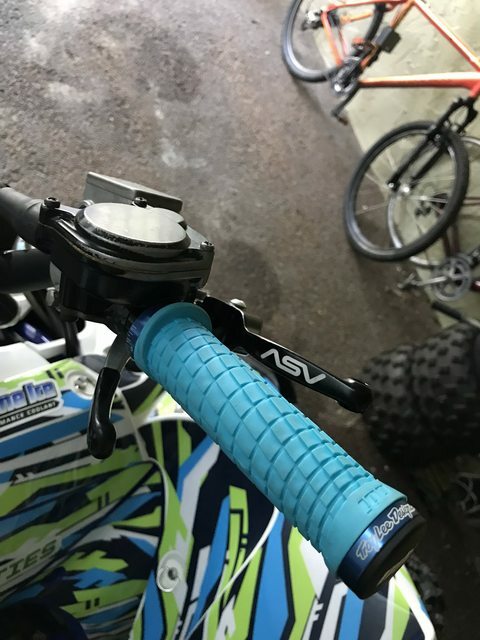 I want to start building it up for XC racing but was curious what everyone thought of the most essential mods to begin with? 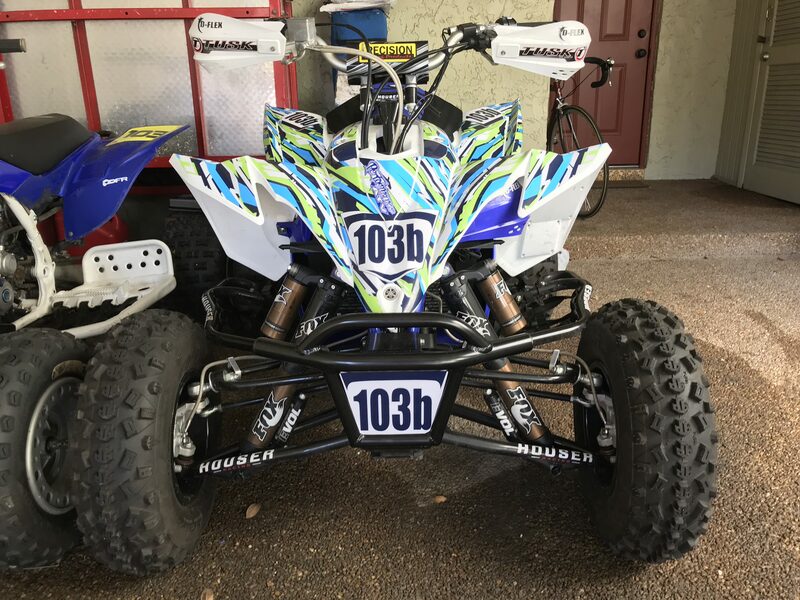 I already bought a Fuel Customs intake and next on the list is a full FMF exhaust, Houser Pro Bounce nerf bars and some kind of tuner but not sure what to get. There's a great shop locally here in Miami that I am going to send it to so they can tune it. 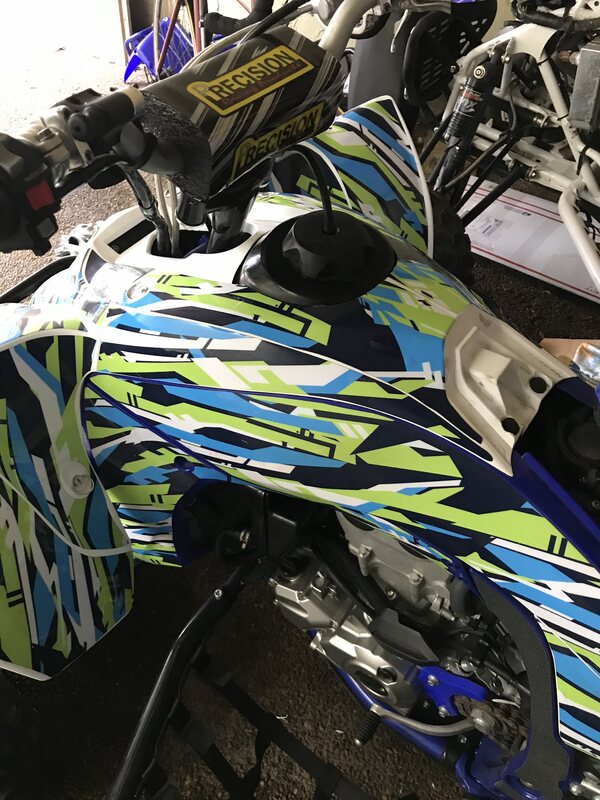 From there I'll need to look at what to get for long travel suspension and shorter a-arms/axle and small stuff like handlebars, graphics, skid plates, etc. I had good luck with the ARS-FX a-arms so I might stick with those. Anything else I should look into getting? Also, anything I can keep from the old carb bike? 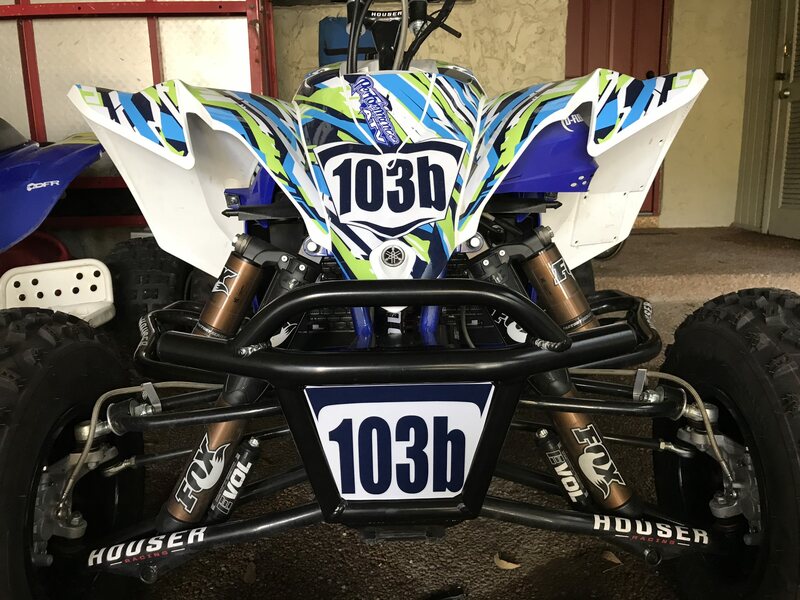 Bumper, wheels and tires, tuner, exhaust, grab bar, skid plate, AIS block-off, 38 motorsports breather, hand guards and kill switch are delivered and ready to go on. Just ordered a full long travel setup from a friend. Fox Floats in front with Houser XC long travel, Fox Podium rear, Precision Elite stabilizer, Houser XC Pro Bounce Nerfs, Lonestar axle and stainless lines and clamps. 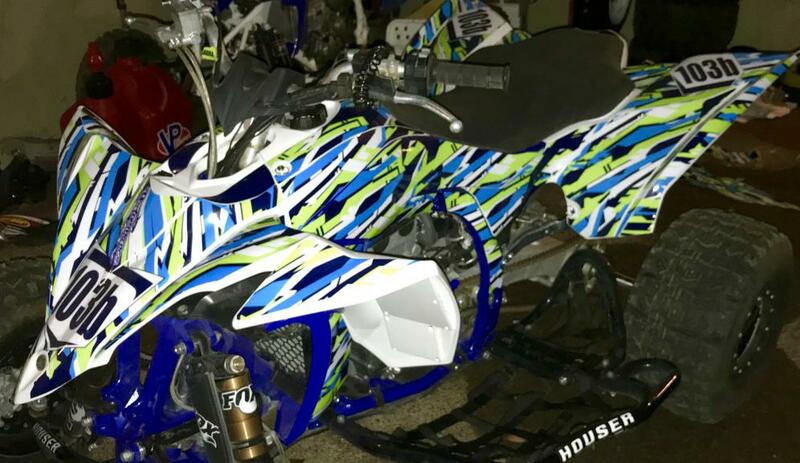 Can't wait to get this on and running. kilroy and Orange2014 like this. Precision shock&vibe clamps or flexx bars. 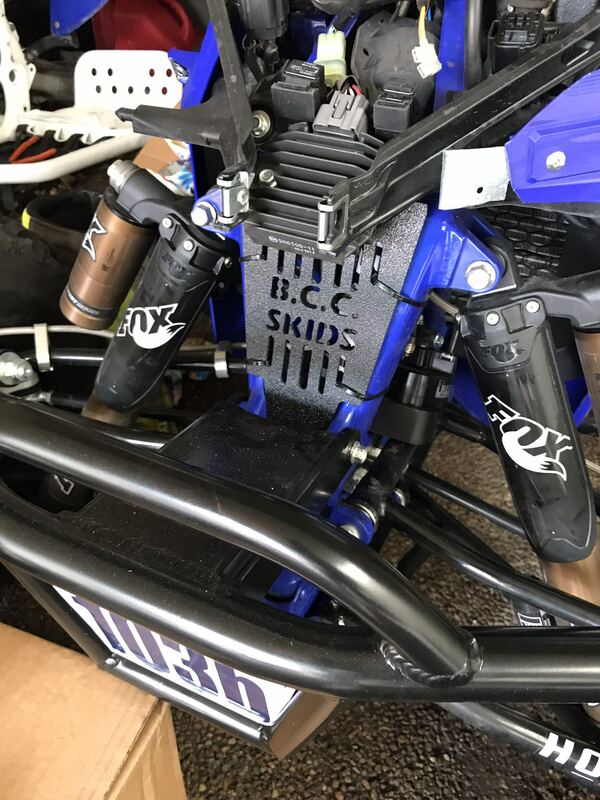 Skid plates. 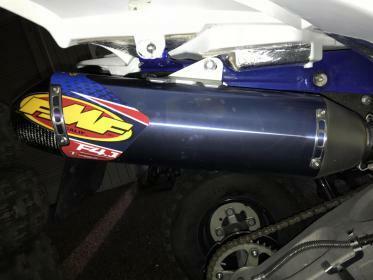 08yz450f intake cam. 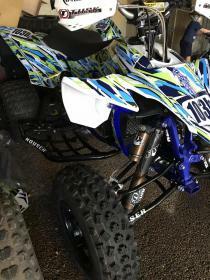 Different bumper and rear grab bar that give you more leverage for pulling your quad out of mud. atvman8351 and Nolifesigns like this. Ride it like your health insurance deductible has been met! I have skids. I’ve never been able to try either the precision clamp or Flexx bars so still trying to figure out the best route there. What advantages does the intake cams have? I did drop a lot but I’ve been saving awhile too. You don’t do well in races on a stock machine and you get better discounts buying everything together. The stock yfz cam is bad. 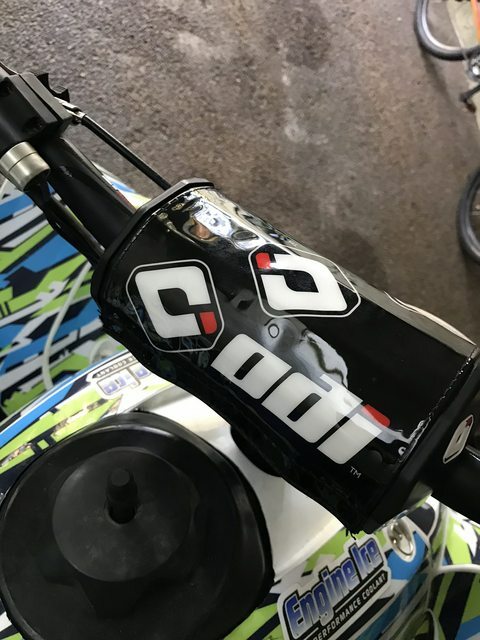 The 08 dirtbike cam gives more bottom-mid. The 08 quad cam gives more mid-top. 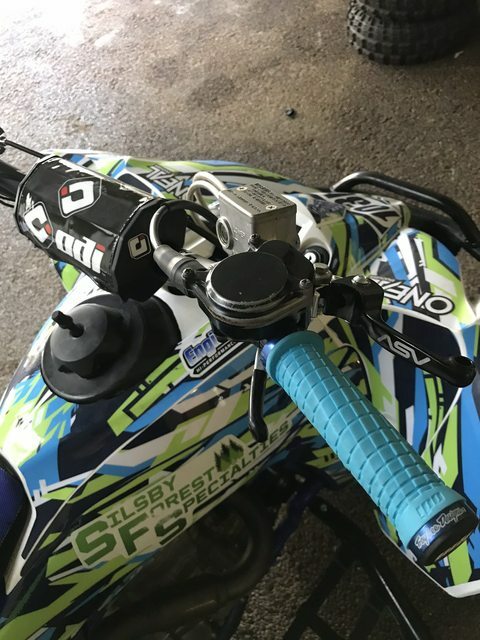 If you're doing xc, get the dirtbike cam. I pretty much keep the bike in 2-3 gear and can smoothly torque it through tight xc tracks and conserve energy instead of revving it for more power like with the stock cam. 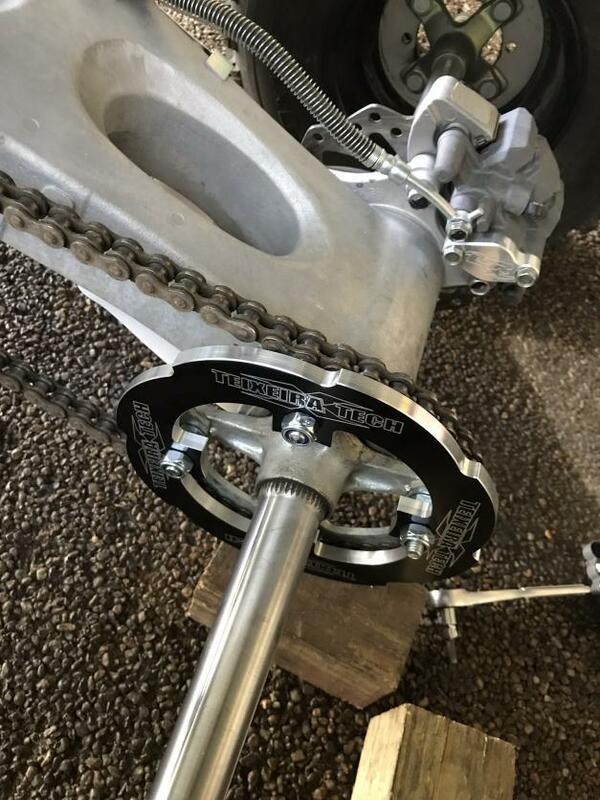 I'm a fan of precision clamps because you can change the bars to your preference. Flexx bars are a 250$ investment and if you don't like the bend, you're stuck. Not the greatest pictures but I will take some more soon. Bumped a tree which tweaked the super light Alba bumper so I decided to upgrade to the RJR bumper. Talk about a difference! 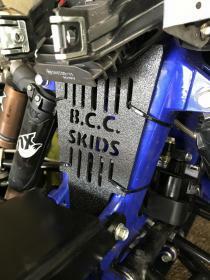 Upgraded to an IMS tank and added the BCC skids roost guard. Finally got out to the track to get some laps in! 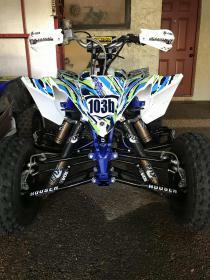 magoo, atvman8351, kilroy and 3 others like this. 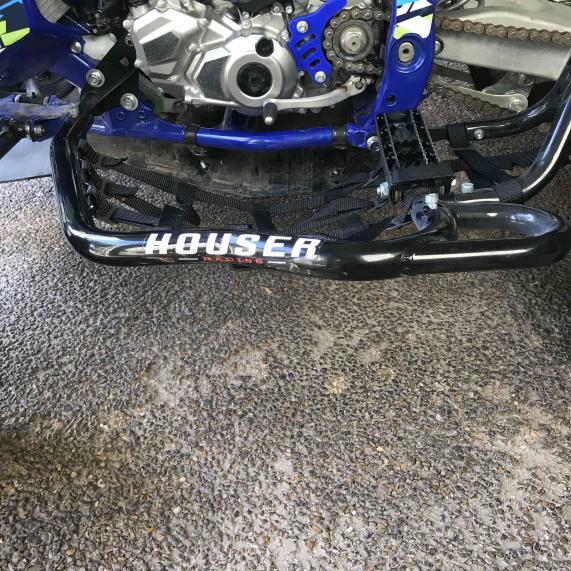 Where did you get the Houser Pro Bohnce XC version nerf bars? I can only find a couple places that still have the XC version. 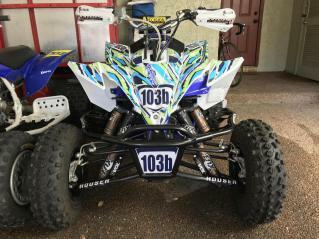 Quad looks amazing BTW. Thank you! I ordered them originally through ATV Galaxy but then they told me after a couple days they couldn't get a set. I ended up getting them through Motosport but that was back in February. Are you interested in a set? I'm thinking I might actually switch to just the heal guards. I can take off the nerf bars portion and just cut off the stub from the peg, but would rather trade with someone so they get some actual use. 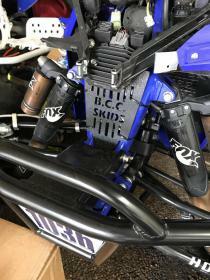 Well, rolled the quad on track this weekend when my front brakes locked up so looks like new parts are in order. ASV levers, ODI grips and handlebars and some new bolts for the Precision clamps. 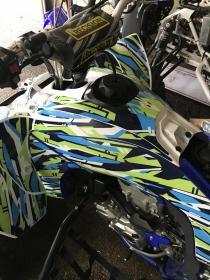 Also decided it was time to add on a Rekluse so that is on the way thanks to Ken at KB! Got the bars, grips and levers on, love these things!! 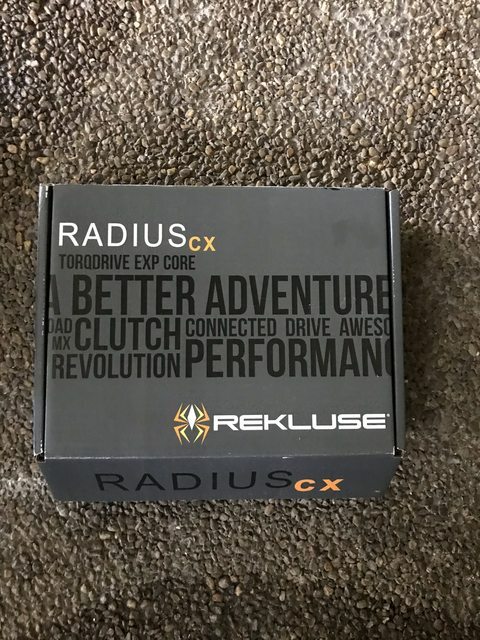 Rekluse is just sitting at the moment waiting to be installed. I have a dyno tune on Tuesday and don't have time to break it in so will install after the tune. atvman8351 and kilroy like this. TLD were my favorite grip 2nd to the oury. Had a few sets of them.